For the first time, Apple has decided to escape platforms and enter the browser wars. 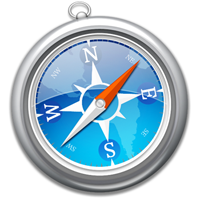 Safari, Apple’s OSX browser is now available for Windows XP and Windows Vista machines — and it is blazing fast. But the other day I decided to check it out. I downloaded a copy and installed it on my Vista machine and was immediately impressed by the blazing speed of things. It is light weight, sleek, and not full of many frills. If you have a Vista or XP machine, go read up on this browser. Heck, download it and try it out for yourself. It couldn’t have come at a worse time for Barack Obama. Jeremiah Wright is back in the news cycle “defending” his earlier statements and sermons and acting in such a way that it seems as though he is purposely trying to sabatage Obama’s bid for the presidential nomination. If he was hoping for a black man to obtain the highest office in the free world, then common sense would tell you that he should have remained as quiet as a church mouse. Unless he has another candidate in mind for that office. Errol Louis dug up some interesting background about Jeremiah’s sponsor at the National Press Club event on Monday. On a blog linked to her Web site- www.reynoldsnews.com- Reynolds said in a February post: “My vote for Hillary in the Maryland primary was my way of saying thank you” to Clinton and her husband for the successes of Bill Clinton’s presidency. Wright has, unquestionably, been caricatured and vilified unfairly. The feeding programs, prison outreach and other social services he has built over more than 30 years are commendable, and his reading of the Judeo-Christian tradition as an epic story of people trying to escape slavery is far more right than wrong – and not something to be caricatured or compressed into a 10-second sound bite. But Wright should have known – and his friend and ally Reynolds, a media professional, surely knew – that bickering with the press can only harm Wright and, by extension, Obama. I hope that wasn’t their goal. I know that I have been absent from here for a while, but that’s nothing compared to Grouchy. Frank and I were just talking about the fact that nobody has heard from Grouch for a while. 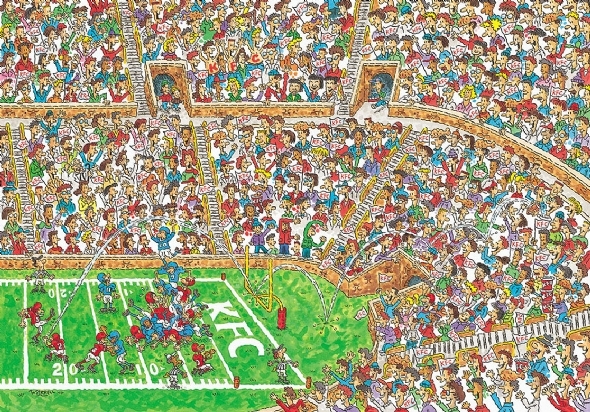 Does anyone know where he is hiding? This week… early AM; Sirius news reporting, the price of food has soared “double digits.” Some people may be mad, but still not mad enough to unhook themselves from the imbecilic umbilical cord: TV. Meanwhile, gas prices have exploded. If we could build a combustion engine fueled by the rise and fall in fuel prices we’d have a perpetual motion machine. Just take Princess Diana’s death: An English princess, with an Egyptian boyfriend, crashes in a French tunnel riding in a German car with a Dutch engine driven by a Belgian who was drunk on Scotch whiskey, followed closely by Italian Paparazzi on Japanese motorcycles. Then she was treated by an American doctor using Brazilian medicines. This was sent to me by an American using Bill Gates’ Microsoft technology, which is developed and produced all over the world. You’re probably processing it on your computer run by Taiwanese microchips and viewing it on a Korean monitor assembled by Bangladeshi workers in a Singapore plant and transported by Indian lorry-drivers, hijacked by Indonesians, unloaded by Sicilian longshoremen, and trucked to you by Mexican illegals! That, my friends, as McCain would say, is Globalization at work.